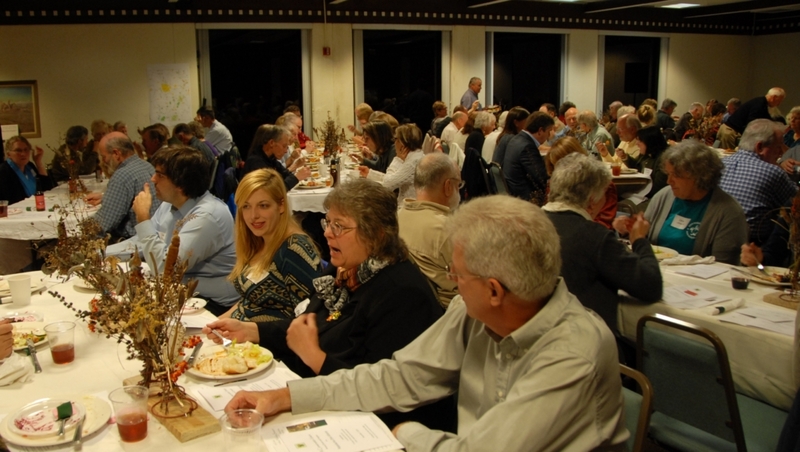 Nearly 120 AOA friends and supporters filled the Hocking Hills Dining Lodge this past Saturday for our annual dinner and meeting. 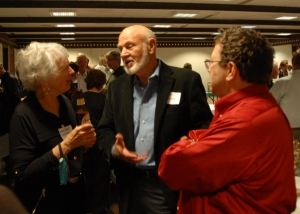 Conservationists from all over central and southeastern Ohio joined together to celebrate another year of land and water conservation vision, leadership and achievement. AOA’s Board President Al Altfater, Executive Director Steve Fleegal, and Land Protection Specialist Steve Goodwin, led the evening’s festivities. Six beautiful properties conserved this year were highlighted and recognized for helping implement AOA’s conservation initiatives. Featured properties were the Cline Preserve, Marsha Gunder Schneider Preserve, Kreisel Preserve, Cossin Tract, Quiver Full Family Farm and the Fought Preserve, an addition to Bison Hollow Preserve. AOA will be hosting trips to several of these locations in 2016. We will post event information and dates on our website. Check back and save the date so you can be sure to take this opportunity to visit the places that you have helped conserve! Steve Fleegal presented AOA’s maturing Conservation Vision for the next year and beyond, which focuses on the Scioto and Hocking River watersheds – emphasizing a strategic approach to the conservation of riparian corridors for water quality and native habitat. Both Steve’s presented AOA’s 2015 conservation awards, recognizing exemplary conservation contributions and achievements. This year’s awardees were: Rosemary Joyce, Conservation Achievement; Neal Hess, Conservation Achievement; Ohio Valley Conservation Coalition, Conservation Partner; Pheasants Forever, Deer Creek Chapter, Conservation Partner; and Jerry Greer, Conservation Volunteer. A special recognition of AOA’s First Honorary Board Member was presented to Paul Knoop for his exemplary leadership in and continuing valuable contributions to the organization. It is an honor to have these worthy individuals as friends and supporters of AOA. Our achievements would not be possible without their hard work, dedication and support of our mission—we are humbled and ever so grateful. The evening concluded with final bidding on a variety of interesting and vintage silent auction items and the door prize drawing for a lovely handmade basket filled with Ohio made products. Saying goodbye to so many friendly faces and inspiring supporters was hard. We hope it will not be long before we see you again in 2016! Thank you to all of our friends and partners for their support of and contributions to conservation and the realization of our conservation vision and mission. We are encouraged and excited about all that is to come for 2016 and the years ahead!